The activities of Anukruti comprise three main focus areas: the construction and maintenance of playgrounds; decent research of the places where we construct the Urban Flowers; and involving and collaborating with communities producing Indian handicraft and art. We also believe in catalyzing an evidence-based movement for more spaces. In 2016 Anukruti set up an exhibition revealing the culture of play in informal settlements. All donations are used for the construction and maintenance of the Urban Flowers. Playgrounds are predominantly made of recycled material like tyres, bamboo, metal and ropes. 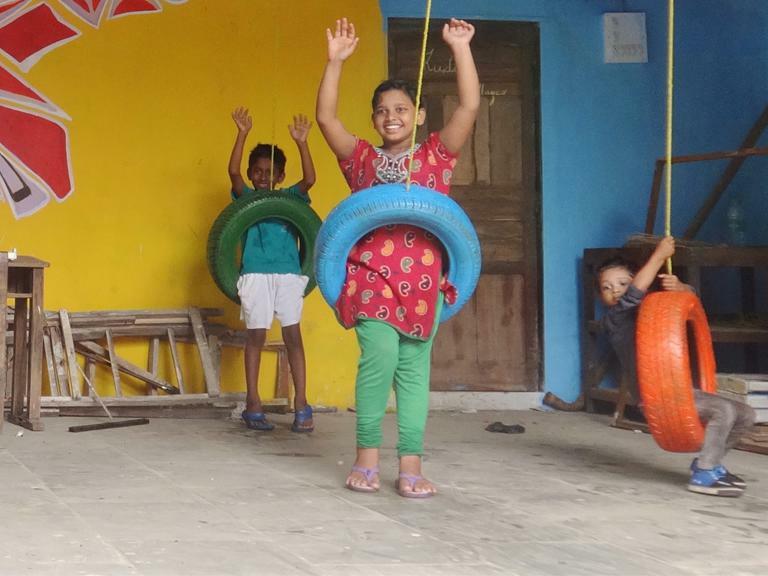 Play is a basic necessity of all children in the world and an important step in developing abilities, skills and knowledge.